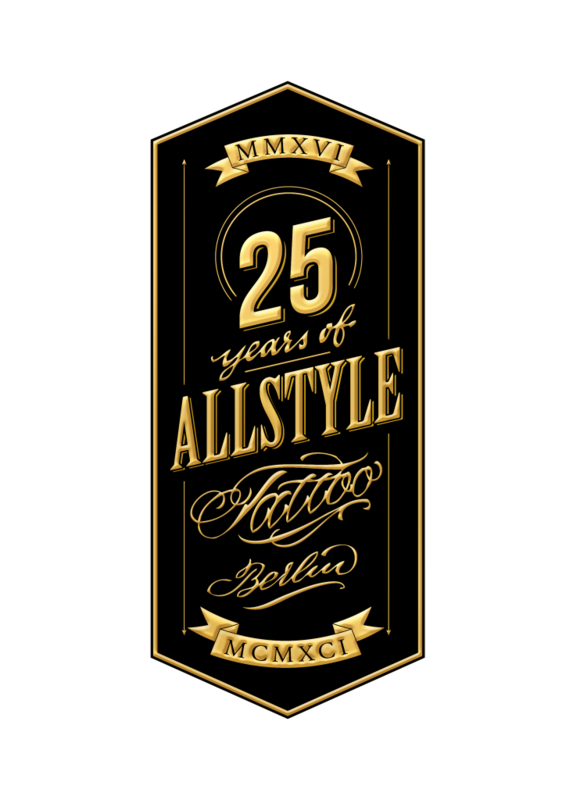 In 1991 AllStyle Tattoo was opened as the first tattoo studio in the former socialist eastern part of Berlin after the wall came down. In 1993 the studio moved to its current location in Friedrichshain where miss Nico joined the team of Robert and Spencer. 10 years later Miss Nico assumed ownership and management of the studio. For over 24 years All Style Tattoo has been guiding its customers through the world of tattooing. Miss Nico and her crew Marc Lane, Sajo Suriel, Katrin Ingwersen and Rouven Materne eagerly await their customers ideas to then create and tattoo the most beautiful designs out of them. Each artist has their own very individual and characteristic approach, thus achieving the greatest possible range of different styles. Each tattoo is a unique design created for the individual client according to their ideas with the vast experience and creativity of the tattoo-artist. Shop-girl Ruth will happily assist in finding the artist best suited to your ideas and wishes and book your appointments. Consultation-hours are Monday, Wednesday and Friday from 1:00pm to 7:30pm. We are looking forward to welcoming you at All Style Tattoo!